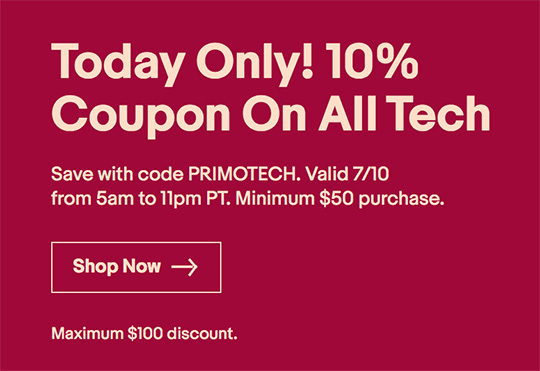 The last few eBay coupons were very popular with NR readers - here is another one: 10% off with coupon code PRIMOTECH for any tech purchase, including photo gear (up to $100 in savings). Some of the Nikon US authorized resellers on eBay are Adorama, BeachCamera, Focus Camera. If you are outside of the US - see Leon's top comment on this post on how to apply the coupon code. For more photography deals, follow @PhotogDeals on Facebook or Twitter.